To see La Classe, click here. 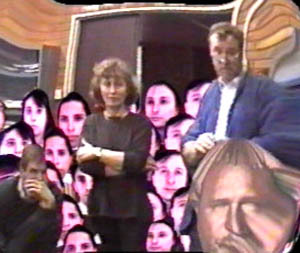 In 1996 we opened an introductory course on image synthesis to the University Paris 7. With the cooperation of the students who agreed to leave us the usage of their data bases made with a cyberware , we realized a story of this course: " the Class ". 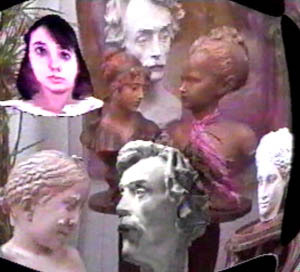 Video capture of the real sculpture at the top and generated image using the cyberware below.